One of the joys of writing is that when you poke around various resources to find out more about what you’re writing about (so you can sound like an authority) you can get to some wild places, and unusual and unlikely stories. I have been researching decision making as part of something I’m trying to write about people making difficult decisions about their medical management – or in the case I’m currently working on, whether to have an abortion or not. As you probably know, we have two sides to our brains. Either can be involved in decision-making, but they function rather differently. Your left brain is all cold, hard, rational, scientific thinking; it is used by computer programmers to write code; lawyers to write contracts; MBA’s to crunch numbers and the like - explains Daniel H. Pink, author of A Whole New Mind. Your right brain on the other hand is the touchy-feely side. It is the side used by “creators and empathizers, pattern organizers and meaning makers” says Pink. Decision making with our left-brain is a slow, plodding, laborious business requiring our full focus, and a great deal of mental energy. We use this deliberate left-brain function when we have some important decision to make. Or we should. The right brain is impulsive, intuitive, emotional and very subject to cognitive bias from beliefs and opinions we hold. It is a bit capricious and is what we use for making the zillions of minor decisions throughout the day – and we hardly know we’re doing it. Our brains are inherently lazy, and we tend to use the right brain “auto-pilot” too much - even for big decisions. 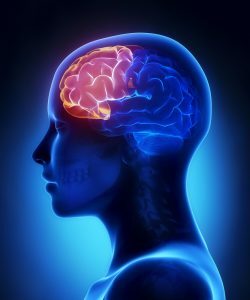 But the significant thing about right brain decisions is they are particularly affected by emotion, which in turn is generated in the most recently evolved and highly developed part of our brain, the frontal lobes. This is according to neuroscientist Antonio Damasio, at University of Southern California. And if our frontal lobes are damaged in some way, it not only messes with a persons emotions and personality, but it can lead to bad decision making; general mental disorganization; and inability to learn from previous experiences. This may all seem a little academic and arcane, but reading about it lead me to the wild and exotic story of one Phineas Gage*. What happened to him was a graphic, if unfortunate, demonstration of what happens when your frontal lobes are damaged. 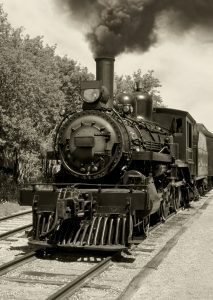 Gage was a blasting foreman on the Rutland and Burlington railroad in 1848. He was working with a crew who were clearing rock to make way for the railway. One day he was packing a gunpowder charge into a hole in the rock with an iron tamping rod he’d had made to his own specifications. It was 3 ½ foot long, 1 ¼ diameter, and sharp at one end – like a giant nail. There was some distraction as he was tamping the gunpowder charge, and he looked away. At that moment the iron rod generated a spark and this set off the charge. The massive explosion threw Gage back, but also drove the rod which he was holding point up, like a very large bullet, through Gage’s left cheek, knocking out one of his teeth, damaging his left eye, and out the top of his head. He was cleaned up. Bits of skull fragment were removed from his exit wound. He went through a brief period of delirium. Developed a wound infection and an abscess (it was noted the “exhalations from mouth” were “horribly fetid”) which had to be drained. He then went through a long and difficult convalesce, but, against all odds it seems, he survived. This incident destroyed most of Gage’s left frontal lobe, and what was interesting is what this did to his character and the decisions he made. After this small mishap, however, he became “fitful, irreverent, indulging at times in the grossest profanity . . . . . manifest but little deference to his fellows, impatient of restraint or advice.” Others described him as a dirty, scary, sociopathic drifter. He was also a bit of a neurological peculiarity, and was was studied and displayed -as something of a “living museum exhibit,” sometimes at freak shows, sometimes at medical meetings - by Dr. John Martyn Harlow, from the town doctor where Gage grew up in New Hampshire, who took charge of the case from Dr. Williams, (Harlow had his skull exhumed and put on exhibit after his death). One slightly bizarre change in Gage’s character was that he “conceived a great fondness for pets and children” - exceeded only by “his attachment to his tamping iron, which was his constant companion during the remainder of his life.” And some say it was buried with him. Antonio Damasio’s work showed people with damage frontal lobes – or their ventromedial prefrontal cortex to be precise - cannot feel emotions and are also hopelessly indecisive. So the case of Phineas Gage seems to me a profound demonstration of the roll of frontal lobes in making decisions. Hopefully your frontal lobes are intact, but take heed. Do the work and use your laborious left brain in the decision making process, instead of your flighty, capricious, emotional, right brain. *I was telling a friend this crazy story I had unearthed - like I was the only one who had ever heard of it. Her response was “oh Phineas Gage?” in a very “ho-hum” kind of way. She knew all about him already. She is a librarian. And librarians tend to know weird, arcane stuff. But it did make me worry that maybe this story isn’t such a revelation to a lot of people. But it’s still a good story.